this conversion amount to $240,000. 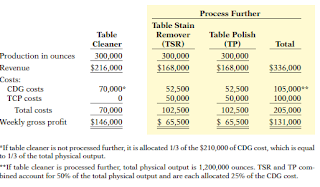 adding 300,000 ounces of another compound (TCP) to the 300,000 ounces of table cleaner. 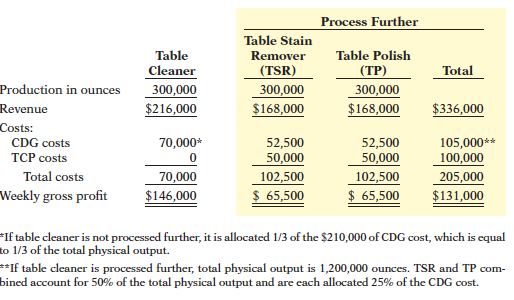 table products can be sold for $14 per 25-ounce bottle. further by doing the following.